This is one of the top selling birthday cards from the Roadsign range. It is perfect for her. 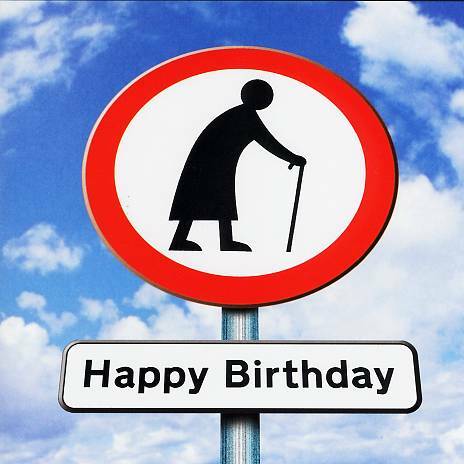 This birthday card features a lady with a walking stick - part of a well known roadsign with the message Happy birthday at the bottom of the card. This card comes with matching red envelope, is letter sized - a first class stamp is all that is needed or let us post the card with your best wishes. Postage is free of charge.